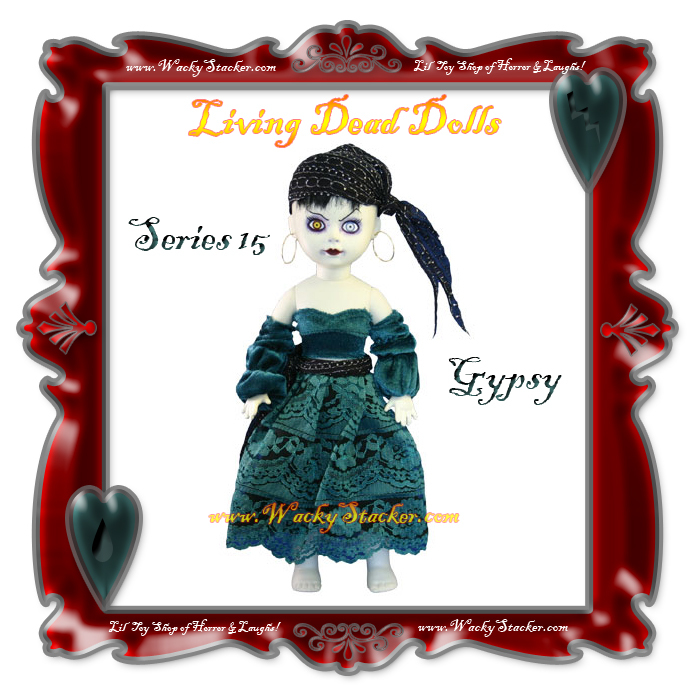 Living Dead Dolls Series 15 Fifteen Buy Online at WackyStacker.com of Horror & Laughs! and still be dead... 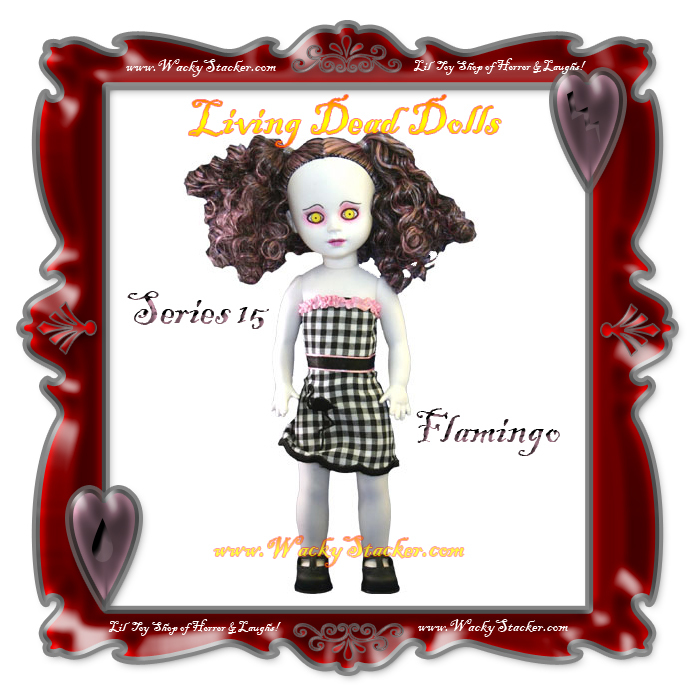 These sweetly twisted, irresistible dead Dolls from beyond by creators Ed Long and Damien Glonek keep you dying for more. 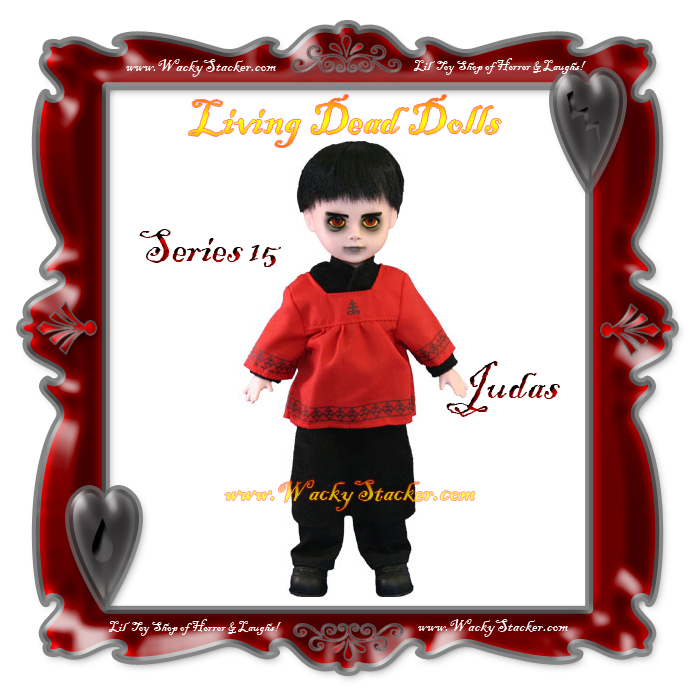 Series 15 consists of 5 different characters: Judas, Bathory, Death, Flamingo, and Gypsy. 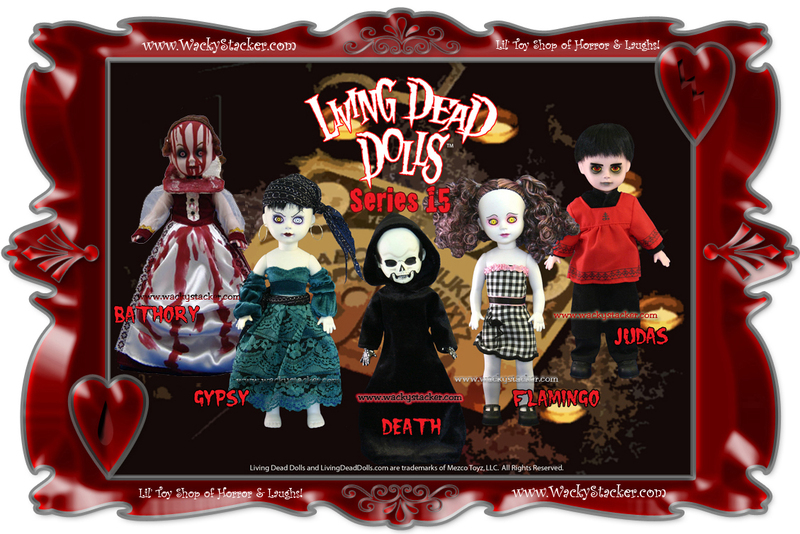 Combine all five Dolls together to build the "talking board" accessory. 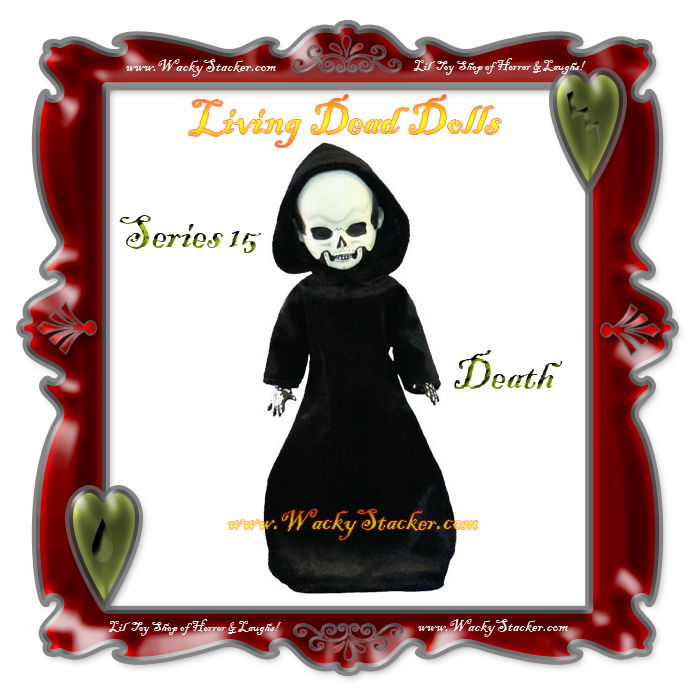 Each doll is packed carefully exhumed in its own coffin with a unique death certificate, ouija board piece and/or accessory. 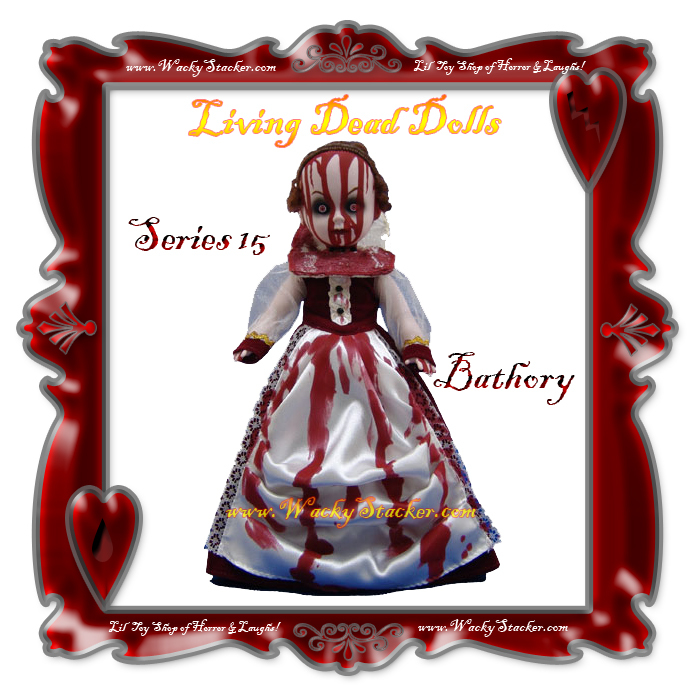 Don't miss Series 15 -- They've passed away, now it is time to play!